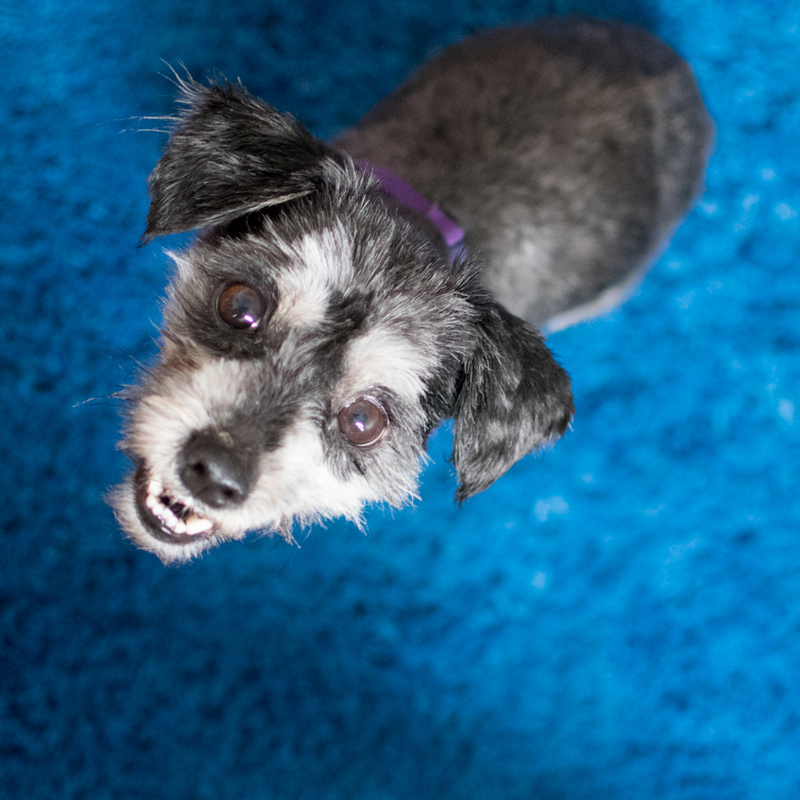 Meet Mitzi, a 9lb mini schnauzer mix who was is single and looking for love! This sweet lady came into the shelter in pretty rough shape, her fur was a terrible matted mess. 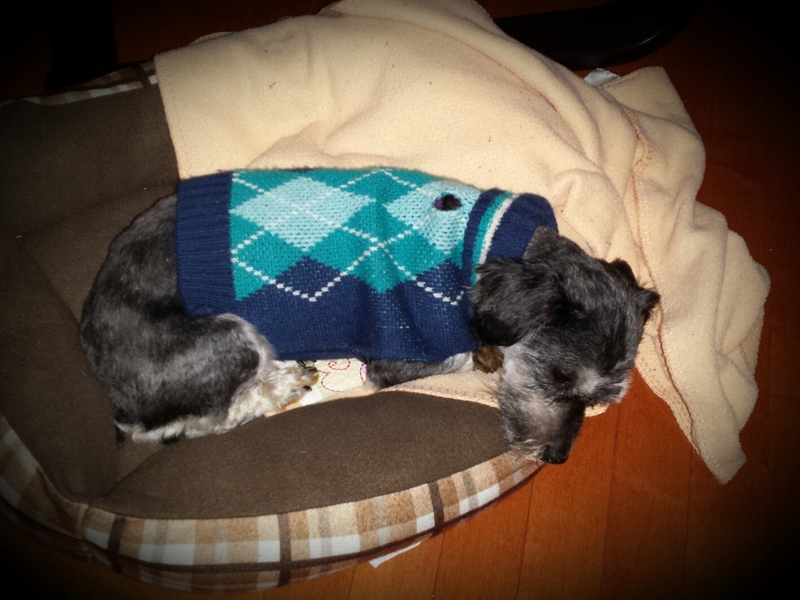 But she has been groomed and now looks (and feels) so much better! Mitzi has been adjusting well in foster, she enjoys the company of people and dogs and is very happy to be where she feels safe. She loves walks around the neighborhood and exploring all the sites and sounds the city has to offer. She is a very curious gal who will follow you around the house to make everything is a-ok! Once you settle down, she will be right there…curled up at your feet for some relaxation. Mitzi’s foster siblings have been showing her the the lay of the land, teaching her how to be a dog. From toy time to basic commands, she is learning so much about being part of a pack. While she is well behaved, Mitzi has a lot to learn about life and the world around her and will need to continue with training to help her become a well adjusted dog. She can be very nervous at times and uneasy with being handled, but consistent, positive reinforcement training will build her confidence, helping her to be the best dog she can be! Young children overwhelm Mitzi so it is recommended that she go into a home with adults only. This affectionate lady has a lot of love to give and would love to find a kind, patient family that can take the time to help Mitzi on her journey of becoming the amazing dog she was born to be! 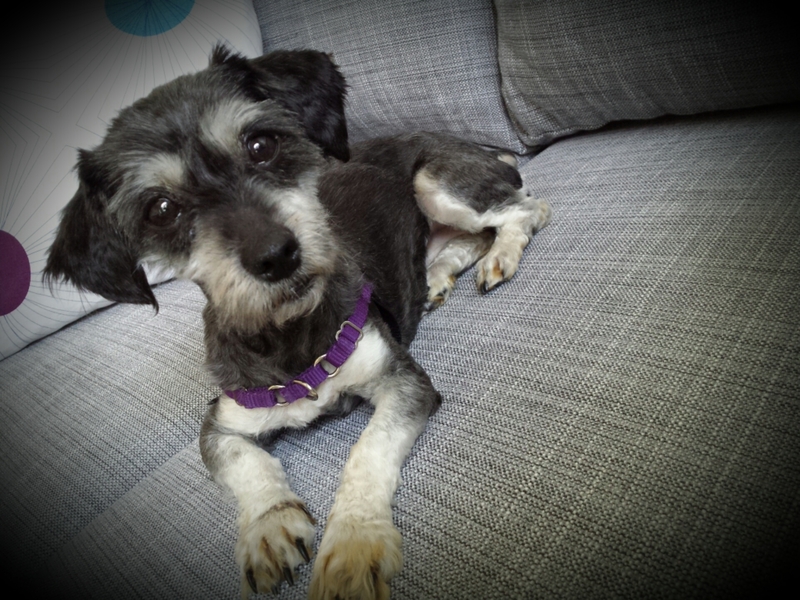 Interested in adopting Mitzi? Please view our FAQ for info about the adoption process. Please check out Mitz’s PAGE for updates and news!